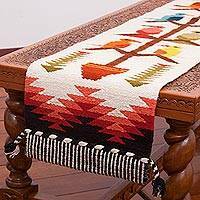 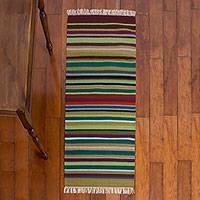 Add a modern touch to your dining room with this table runner from Peru. 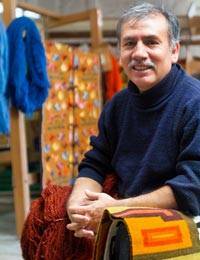 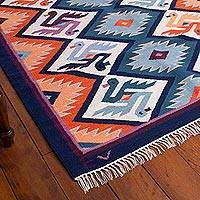 Cerapio Vallejo designs the runner, which is handwoven of wool on an artisanal loom. 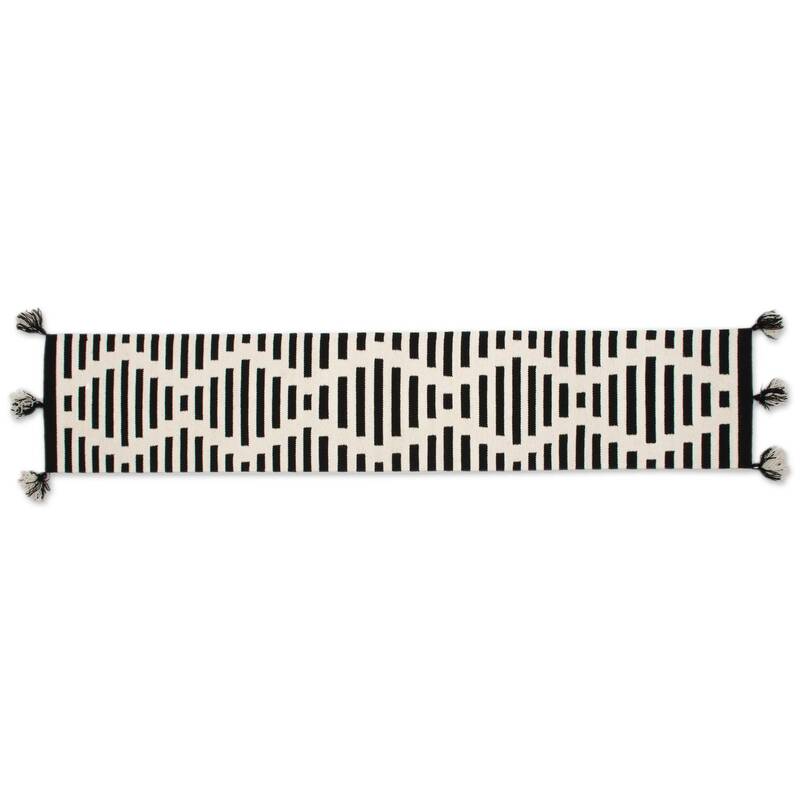 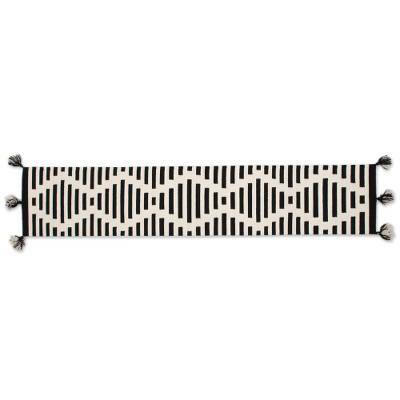 This table runner features illusory diamond motifs in antique white that are creatively achieved with black striped patterns. 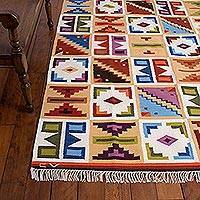 Tassels complete the runner at each end.